Fuel your brain with omega-3! 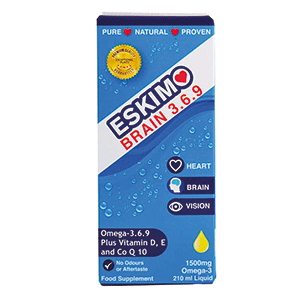 Whether you’re doing exams or just looking to increase brain power, Eskimo Brain 3.6.9 is the food supplement for you. Omega-3 DHA is brain food. Just as calcium is essential for building strong bones, 250mg DHA daily is essential for good brain health. DHA helps to improve learning, mood, memory and concentration. With high levels of omega-3 DHA along with seed oils, vitamin D, E and CoQ10, you’ll feel focused in no time. 100% pure, natural and stable. Supported by science. 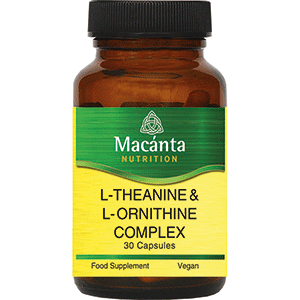 Macánta L-Theanine and L-Ornithine Complex gives you a powerful combination of L-theanine, lemon balm and chamomile, combined with B vitamins, hops and ornithine. This complex has been formulated to relax, de-stress, and calm the body. Nominated for best nutritional supplement award at Vitality Show 2018, customer feedback has been hugely positive. Priced at €16.95 for 30 capsules. 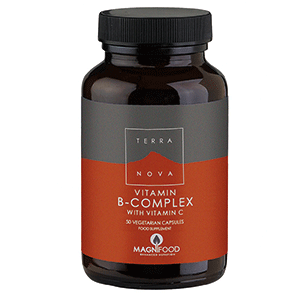 Terranova’s biggest selling product, B-Complex with Vitamin C, is an intensely synergistic formulation providing B vitamins, magnesium and vitamin C; the potent adaptogens Rhodiola, Siberian ginseng, Avena sativa and Cordyceps; and synergistic wholefoods including rice bran, alfalfa, parsley, dandelion and beetroot juice. As with all Terranova nutritional products, it is 100% additive-free and 100% vegan. Priced at €10.95 for 50 capsules. 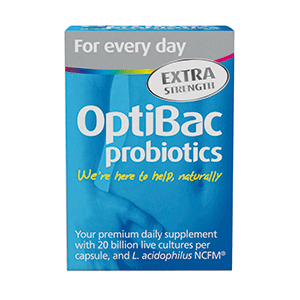 OptiBac Probiotics ‘For every day EXTRA Strength’ is a premium, daily probiotic containing five extensively researched strains including L. acidophilus NCFM®. These strains are proven to survive stomach acidity to reach the gut alive where they can support gut health. Clinical trials indicate that this combination may be beneficial to those with IBS, or those looking for extra strength digestive support. Priced at €22.99 for 30 capsules and €59.99 for 90. 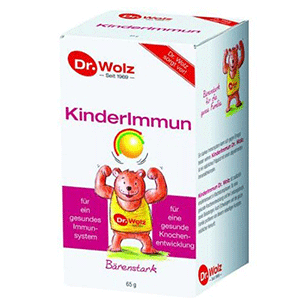 Dr Wolz KinderImmun is suitable for children aged two and upwards and is an essential source of colostrum, inulin and beta glucans, plus vitamins C and D, zinc, B complex, bifidobacteria and more. It is also suitable for adults and pregnancy. A taste your kids will love! 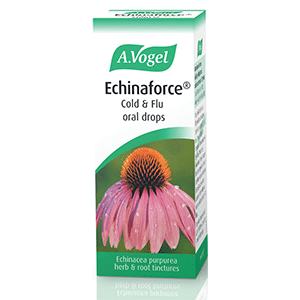 A.Vogel Echinaforce Cold and Flu oral drops were created by world-renowned naturopath, Alfred Vogel, whose years of experience and knowledge led him to create a unique formula made from extracts of freshly harvested, organic Echinacea purpurea herb and root. Echinaforce is a traditional herbal medicinal product used to relieve common cold and flu-like symptoms, exclusively based on long-standing use. Always read the leaflet. 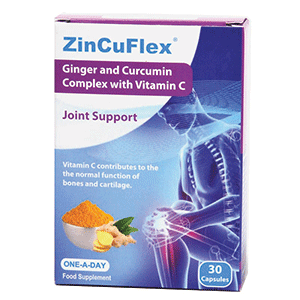 ZinCuFlex is an innovative food supplement containing ginger, curcumin and vitamin C. Ginger and curcumin (the active part of turmeric) are well known for their benefits for joint health. Ginger is an extract which helps to maintain joint mobility and avoid morning stiffness. Curcumin helps to control inflammatory responses in the body, helps to protect joints and helps to maintain joint flexibility. Just one capsule a day for joint support. Priced at €19.95 for 30 capsules. 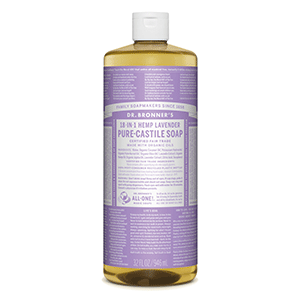 Dr. Bronner’s Pure-Castile Lavender Liquid Soap is concentrated, biodegradable, versatile and effective. Made with organic and certified fair trade ingredients, it is packaged in a 100% post-consumer recycled bottle. Dr. Bronner’s 18-in-1 Pure-Castile Soaps are good for just about any cleaning task: face, body, hair, food, dishes, laundry, mopping or pets. Free from synthetic preservatives, detergents and foaming agents. Tired, stressed, run-down and needing a boost? 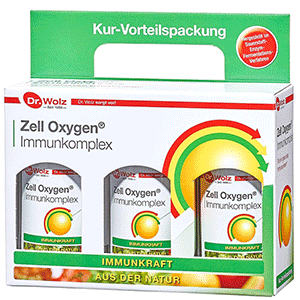 Dr Wolz Zell Oxygen ImmunKomplex helps heal and strengthen at a cellular level. It also helps to support the body in times of on-going health issues and supports energy levels too.